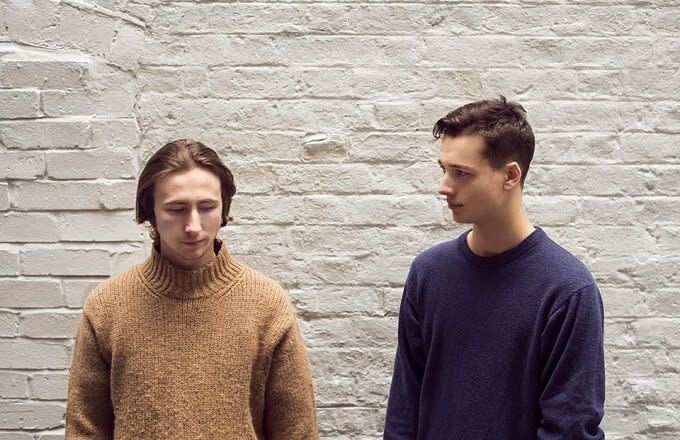 Premiere: Listen To Folded Like Fabric Reject Greed And Materialism On "Luxuries"
Building on the success of their debut EP I Tried, cinematic R&B duo Folded Like Fabric are back with the Luxuries EP (due out Apr. 8 on Beauvoir Records). The title track, which you can hear below, sees the two craft a vivid, nuanced instrumentation over which they condemn the culture of greed and materialism. Angry as it may sound, "Luxuries" is actually as beautiful as it is potent, balanced nicely by Connor Sims&apos; delicate vocals. Though I Tried set the tone for the twosome&apos;s mix of blissful beats and ethereal vocals, Luxuries takes that set up to the next level with a richer, more varied collection of instruments and sounds.